Dinosaurs were land-living reptiles with long tails, clawed hands and feet, and scaly skin. Some walked on two legs, others on four. While some were meat-eaters, others munched on plants. Most people know what a dinosaur looks like from books and films. But even experts are still unsure why dinosaurs survived when their rivals died out. It was probably their erect stance, the sheer size of the largest, such as Giganotosaurus, and their efficient weapons of attach and defence that ensured their long-lasting success. In what way were dinosaurs different? 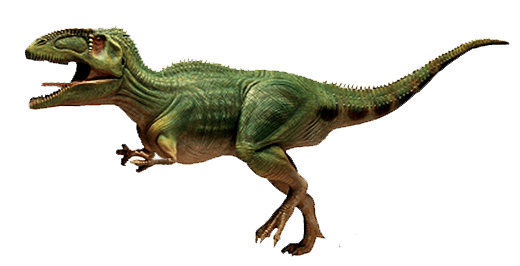 Dinosaurs were different from other reptiles because they could stand with their legs straight. Most reptiles have legs that splay out from their bodies, giving them a sprawling stance Dinosaurs were like mammals – they could walk upright with their legs directly below them. Was Eoraptor the first of the dinosaurs? It was certainly one of the earliest dinosaurs. The remains of Eoraptor – a small, meat-eating dinosaur – were discovered in 1991 in South America, where dinosaurs may have originated. Experts estimate that Eoraptor was alive and well as long as 228 million years ago. 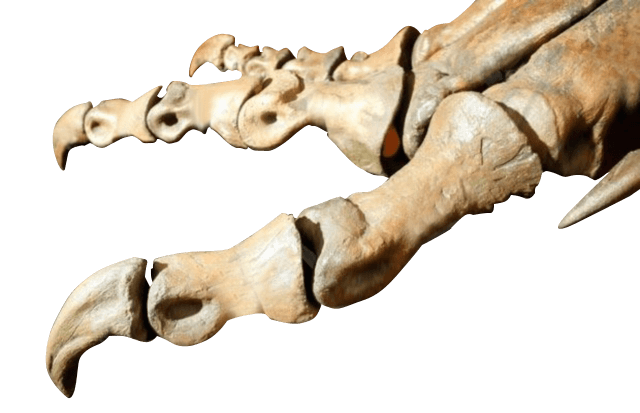 All dinosaurs had clawed feet and hands. Some claws were like the talons of birds of prey, while others resembled curved, sharp scissors. They were either used to hook high branches down for food or to slash live prey or stab at attackers. Some “claws” were more like the hooves of cattle and merely acted to protect the toes. Were there dinosaurs that could fly? Dinosaurs were all land-living animals. But there were plenty of flying creatures in the prehistoric skies, and they were reptiles, just like the dinosaurs. 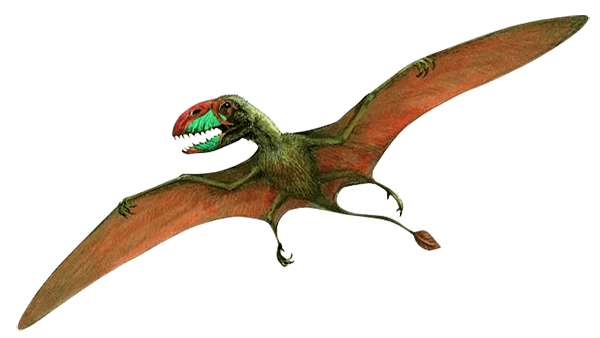 They were called pterosaurs, which means "winged lizard". There were many different types of pterosaur, some as big as light aircraft. Rhamphorhynchus was about 1 m (3.3 ft) long with a narrow jaw and pointed teeth for catching fish. No-one is sure. Reptiles such as snakes are cold-blooded, which means that their body temperature cools down with the outside temperature, and they become less active. 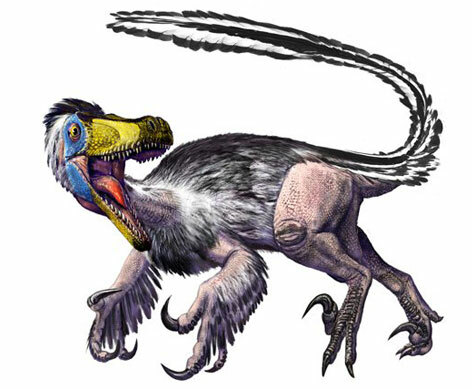 But evidence suggests that some dinosaurs, such as Velociraptor, had feathers, and feathered animals are warm-blooded. Some experts now believe that all the dinosaurs may have been warm-blooded, enabling them to be active whatever the weather. The word dinosaur means “terrible lizard” and was first used in 1842. Dinosaurs and pterosaurs evolved from a group of reptiles called archosaurs, which arose 250 million years ago. 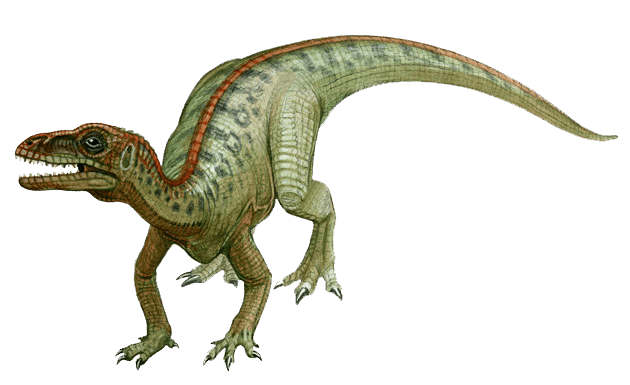 Chasmatosaurus was one of the earliest archosaurs. It probably spent most of its time hunting fish in rivers, much like a modern crocodile.